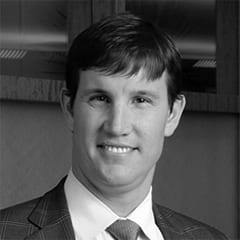 Trace Wilson is a Principal with PGIM Real Estate Finance. nationwide. Trace is located in Atlanta. Since 2013, he has originated and secured more than $2.4 billion worth of loans across all asset classes, including senior living. Earlier, he served as a director and associate in both PGIM’s Atlanta and San Francisco offices with a focus on direct originations and underwriting for Fannie Mae and Freddie Mac. in real estate, from the Terry College of Business, University of Georgia.